Ceiling Specialists: Should you buy a home with a popcorn ceiling? HomePopcorn Ceiling RemovalShould you buy a home with a popcorn ceiling? Home Should you buy a home with a popcorn ceiling? Are you in the market to buy a new home? If so, there’s a lot to consider before you make the biggest investment of your life. Buying a home is a huge deal, so you want to be sure that the choice you make is the right one for you. But what if you come across a home that you absolutely love that’s got a great layout, is in a fabulous location, and the price is just right, but it’s got popcorn ceiling texture? Is the presence of popcorn ceilings a deal breaker? While many buyers may definitely frown upon the sight of popcorn ceilings, you shouldn’t necessarily rule the place out. If the home checks off most of your needs and wants, popcorn ceilings shouldn’t deter you from the deal. Why? Because popcorn ceilings can be removed affordably and quickly to reveal a much more modern and sophisticated surface that can completely transform the look of your space and even add value. Don’t be afraid to have to make some updates to a home you buy. With the right help, there’s no reason why you can’t have those unsightly popcorn ceilings removed in no time. But should you do this yourself? While it may be possible to tackle this job on your own, it’s definitely not recommended. That’s because the job can be very tricky and extremely difficult without help. No matter what method is chosen to remove the popcorn ceiling, they all require some level of expertise and teamwork to get it done. And if there is any asbestos in the popcorn ceiling material, the job becomes even more difficult. 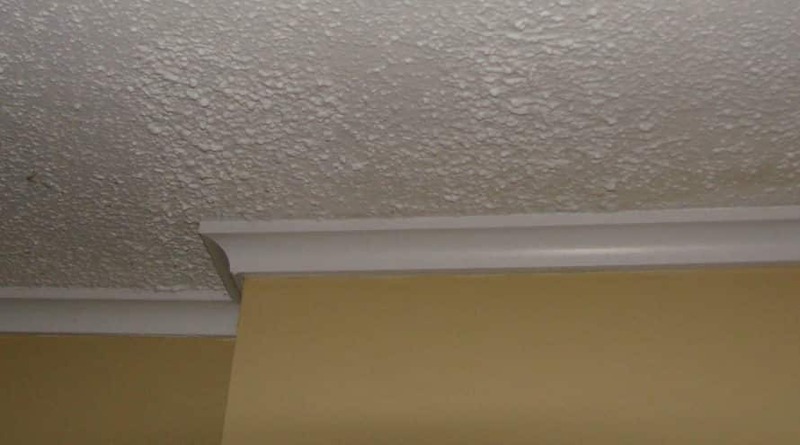 Asbestos was commonly found in popcorn ceiling material in homes that were built before 1980. If your home is at least that old, or the popcorn ceiling was applied in the 80s, there’s a chance that this hazardous material may be lingering. The problem with this is that when it is disturbed – which would be the case with popcorn ceiling removal tactics – asbestos can become airborne. If it is left to be inhaled for a long time, it can cause some serious respiratory issues. Hiring professionals for popcorn ceiling removal is definitely the way to go. These experts have the experience, tools, and team to ensure the job is done properly, efficiently, and quickly. So, should you buy a house with popcorn ceilings? If the home has everything you want and is priced right, then why not! 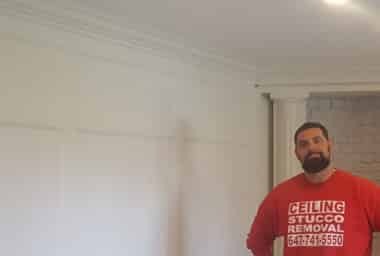 As mentioned, removing popcorn ceilings doesn’t have to be a big deal if you’ve got the right team behind to you. Call The Ceiling Specialists today to help you get rid of those popcorn ceilings and boost the look and value of your new home!